The it comes to curls, there's no shortage in the amount of curly products available. It can be really easy to find yourself falling down the rabbit hole of curl care products, trying to figure out which ones work best for you and your curl's needs. We've taken some of the guess work out of it for you, and compiled this list of amazing curl care products. Cantu Cleanse Dry Co-Wash: Find the right shampoo for curly, textured hair can be a bit of a struggle, as most dry shampoos can dry out curls. 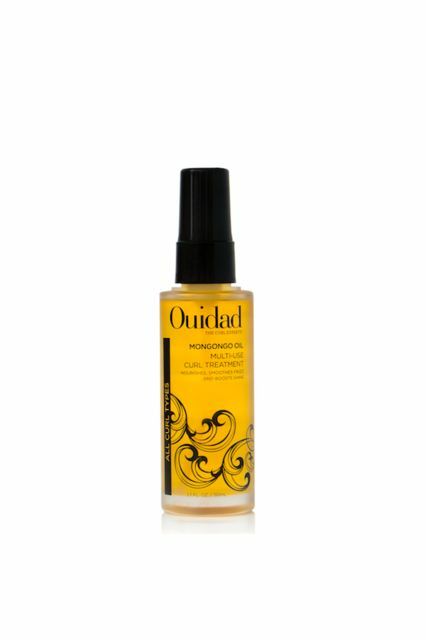 This one works fabulously, as it cleanses curls without drying out your delicate strands. Cantu Argan Oil Leave-In Conditioner Repair Cream: We can't ever get enough of Cantu oil and its nourishing qualities. No matter what you've put your curls through (coloring, relaxers, heat) this product is safe for all types of curls. DevaCurl One Condition Decadence: DevaCurl is one of more the tried and true curl care lines out there and this product delivers. If your curls are feeling dry and in need of a little extra nourishment, slather your strands with this thick and nourishing cream. Briogeo Don't Despair, Repair! : For curls that might seem damaged beyond repair, there's still hope! While this mask is deeply moisturizing and works to rehydrate dull strands, it won't weigh down your delicate strands. We also really like the $9 price tag, making it an affordable purchase. Ouidad Mongongo Oil: If your curls constantly feel dry and you're unable to get them rehydrated, try this ultra luxurious Mongongo Oil. It's loaded with amazing natural ingredients such as mongongo oil, coconut, and American palm seed and broccoli seed oils, your curls will receive an extra strong dose of shine and hydration, as well sa being protected from UV rays and heat.